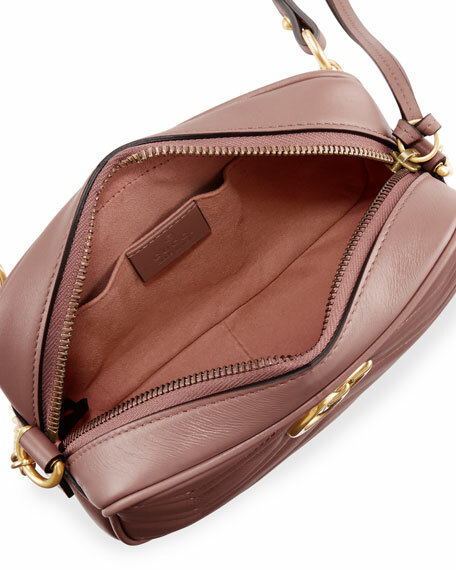 The Gucci GG Marmont mini chain shoulder bag has a softly structured shape and a zip top closure with Double G hardware. Gucci matelassé leather camera bag. Chain and leather shoulder strap, 23.5" drop. Double G medallion at center. Quilted GG on the back. 4.8"H x 7"W x 2.5"D.
"GG Marmont" is made in Italy. Gucci GG supreme canvas wallet-on-chain with leather trim and hand-painted edges. Antiqued silvertone hardware. Removable chain shoulder strap, 23.5" drop. 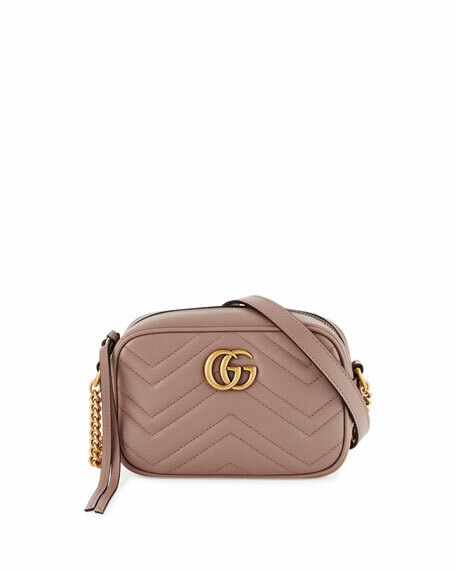 Gucci quilted, laminated metallic leather crossbody bag. Mixed silvertone and golden hardware. Thin braided shoulder strap, 27.5" drop. Zip-around top closure with tassel pull. Exterior, interlocking GG horsebit. Interior, floral-print lining. Two card slots; key clip. 5"H x 7"W x 2"D. Made in Italy. 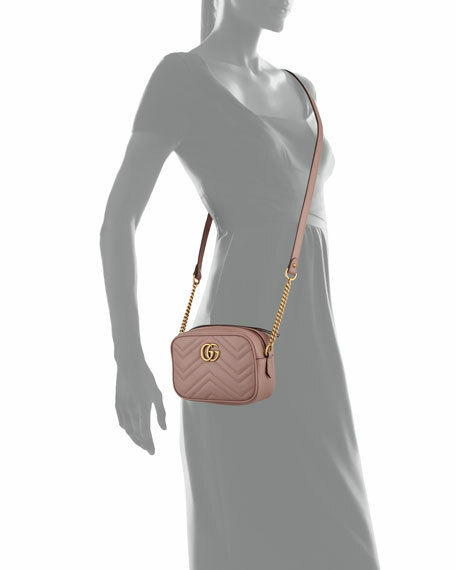 Gucci camera crossbody bag in transparent vinyl with leather trim. Adjustable shoulder strap with a 25.5" drop. Zip-around top closure.